You know, I never visit HGTV.com. Why? I have no idea. Maybe it is because I have an aversion to “rate my space” (stay tuned, my little rant is coming up in the next post). But, HOLY COW, today, I have to say, I am hooked. It is better than watching the design shows. I got sidetracked from my rant by their “kids room feature” this week. 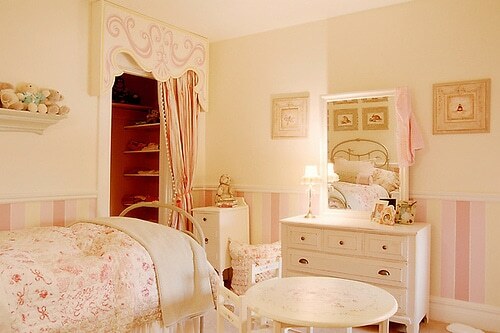 Wow, they have some cute rooms! And lots of great information on all sorts of topics. I could spend all day looking around there! Who needs a design blog when you have HGTV? I am asking myself the same question. Those of you who have been with me awhile here know my lack of affection, let’s say, for tacky theme rooms, including rooms designed for children. Read more on my feelings here and here. As I always say, though, it is your home and your child and I would never judge your decision to design a room as you must. Having a strong-willed boy, I’ll admit I would be the first to cave in to a giant Spiderman blowup chair if he insisted. Really! I might! Fortunately my son must really understand me and my obsession with beautiful rooms because he has not begged me for anything of the sort. Smart boy. In a perfect world and with a compliant child, my preference is to go with themes that are more timeless or classic, with lots of fun and whimsy thrown in to make it a magical place for their imaginations. If you can capture the vivid imagination of a child in a room that has some enduring taste and style, you have a winning combination. IMHO. 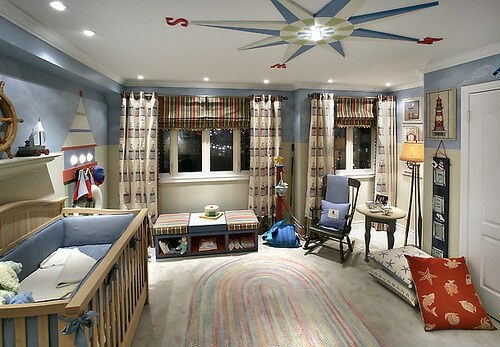 So with this post, I am featuring photos I am adding to my LOVE THAT for kids rooms file. I am so glad HGTV is featuring these, as I had seen some of them on the show and WISHED I had pictures to share with clients and friends! Enjoy! And if you want to see more, LOTS MORE, check out HGTV.com, my new hangout! Credits: All rooms are featured on HGTV.com, several of these rooms are Candace Olsen’s design. The rest I am not sure. The bottom one is designed by someone with the last name of Saul, but I couldn’t find the picture when I went back to look. There is SO much to see I kept losing my way. I apologize, if I find the rooms again I will credit all designers for these fab rooms!